Two years before establishing Temple B’nai Abraham in 1853, its founders consecrated a small cemetery on South Orange Avenue in Newark. Long outgrown, it remains under dedicated loving care to this day. 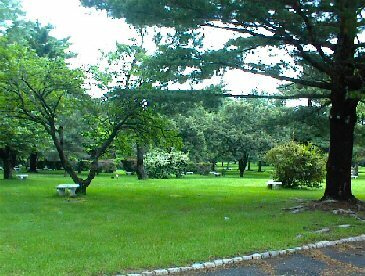 It was with that commitment to perpetual caring and to providing a place of eternal rest that B’nai Abraham created this beautiful and peaceful Memorial Park in 1948. Whatever we do in life, we are all equal in death, and the design of the Park and the mausoleums on its grounds expresses that ancient Jewish concept. While these hallowed grounds have served the needs of its large membership, from the first days, the Park has been equally welcoming to the larger Jewish community. 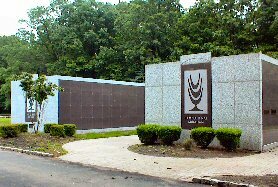 The Memorial Park was established and is maintained by Temple B’nai Abraham (www.tbanj.org) one of the largest and most historic synagogue in New Jersey. The Park was designed by the firm, whose founder Frederick Law Olmsted designed the landscaping for New York’s Central Park . Park grounds are under the constant care of a dedicated staff. New Plantings are added regularly and additional Mausoleum space is being planned. On-site administrative offices serve families and visitors. The Temple’s clergy conduct an annual memorial service during on the Sunday between Rosh Hashanah and Yom Kippur for the families of all those laid to rest in the Park. 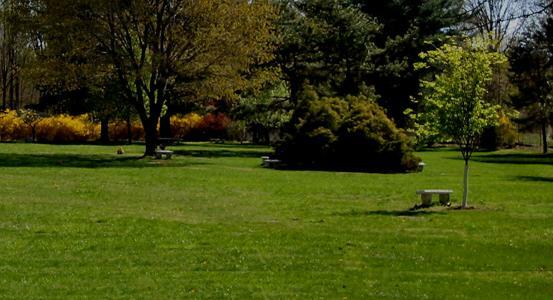 The B’nai Abraham Memorial Park has added a private interfaith section to its lush property. This section was established in the fall of 2009 and has been professionally landscaped to further enhance the surroundings. For those who wish to purchase in this section, one spouse must be Jewish and graves must be sold in pairs. Temple members receive a 10% discount in this section as with all grave sites in the Memorial Park. The same rules for marking a grave apply to this section as does the rest of the Park. Only Jewish symbols may be used on the plaques. The Memorial Park has numerous individual and multiple gravesites available for immediate purchase. Because of the Park’s design, plots are larger than those found in many other parks and cemeteries. With over 22 thousand graves in the Park, we can offer many beautiful locations, including opportunities to be near family members interred during years passed. 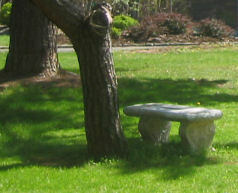 The Memorial Park allows for both in ground and above ground interments. We currently have two outdoor Mausoleum buildings, each with 96 crypts. By design, our mausoleum crypts are only 4 levels high in keeping with our commitment for a more intimate atmosphere. Family members are able to go up to the mausoleum crypt and touch the face and crypt plate while saying their prayers, something not easily done at cemeteries where the structures are 10 or 12 units high. In the years to come, additional crypts will be added with the entire south section of the Park dedicated to mausoleum entombments. The Memorial Park only allows the use of flat bronze markers , this contributing to its park-like setting. Markers are available in three individual sizes and also in a companion size for two people. Markers can be purchased with either a concrete or solid granite base, further allowing for personalization.